KENNEDY SPACE CENTER, FL--Work to replace and retest an electrical distribution box in the shuttle Endeavour's engine compartment will push the crew's next launch attempt to at least May 10, agency managers said Monday. An official launch date is expected Friday, after repairs are complete. In the wake of a launch scrub last Friday, NASA managers said Sunday the next attempt to launch Endeavour on its 25th and final mission would be delayed to Mother's Day at least and possibly longer. A more realistic assessment Monday, based on a detailed review of the work needed to replace the suspect aft load control assembly, showed it would not be possible to complete repairs in time to start a fresh countdown Thursday for a launch on Sunday. Instead, mission managers agreed to target May 10 as a "no-earlier-than" date pending successful repairs. If that scenario holds up, a fresh countdown would start around 9:30 a.m. EDT (GMT-4) Saturday for a launch attempt at 11:21 a.m. next Tuesday, May 10. But engineers believe it will be difficult to meet that target and that May 11 is a more realistic option. Endeavour was grounded Friday when telemetry showed hydraulic power system fuel line heaters were not working properly. Subsequent tests isolated the problem to aft load control assembly No. 2 in the shuttle's engine compartment. The ALCA is one of three electrical switching units in the aft compartment that routes power to a variety of critical systems. Replacing ALCA No. 2 is relatively straight forward, but verifying that all the downstream systems are properly connected and operating is expected to take two full days. The replacement unit should be in place Tuesday, clearing the way for testing to begin. Engineers also will evaluate the faulty unit to verify the presumed fault. A launch on May 10 at 11:21 a.m. would set up a docking at the International Space Station around 8:20 a.m. on May 12. The shuttle's primary payload, a $2 billion particle physics experiment, would be attached to the lab's power truss the next day. Four spacewalks would carried out on May 14, 16, 18 and 20 with undocking on tap around 1:15 a.m. on May 22 and landing back at the Kennedy Space Center around 5:50 a.m. on May 24. Going into Endeavour's final launch campaign, NASA managers planned to add two days to Endeavour's mission to give the crew more time to help out with needed station maintenance. But with Friday's launch delay, the prospects for a mission extension are not clear cut because of the scheduled undocking of a Russian Soyuz ferry craft on May 23. 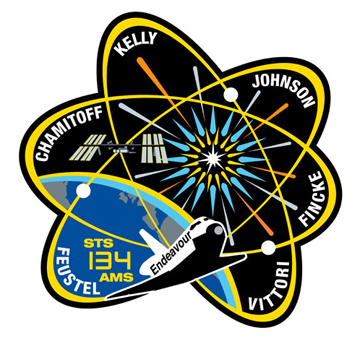 Three of the station's six crew members will be returning to Earth that day and they must adjust their sleep shifts to accommodate the re-entry and landing time. For a launch on May 8, two extension days were still available for Endeavour's crew, assuming an Air Force Atlas rocket gets off on time Friday. For a launch on May 9, one extension day is available but for a launch on May 10, station crew sleep shifting and other factors would preclude any additional days for the shuttle crew, officials said. For a launch on May 11, both extension days should be available.